You. Yes, you! You're a musician, right? Get busking! 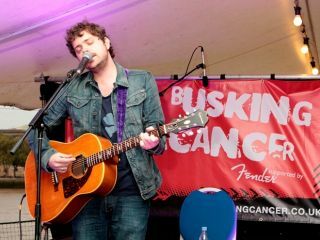 This week (26 September to 2 October) is Busking Cancer Week and Cancer Research UK is asking musicians from all over to get involved, play some shows and raise some cash for a good cause. The charity is calling on musical types (such as your good selves) to host and play gigs, or busk under the banner of Cancer Research UK. Any money raised then goes to the charity. Last year, participants managed to raise an impressive £75,000 and this year the organisers hope they can do even better. To take part, just head to BuskingCancer.co.uk and register for a fundraising pack. You'll also find a helpful guide to busking (in a legal fashion) and links to the rest of the Busking Cancer community pages. If you can't manage to stage a gig, or get out busking yourself, be sure to provide your support, encouragement and pennies to any other musicians involved.